This fun-to-shoot Umarex® Steel Strike Air Rifle is powered by two 12g CO2 cartridges that send BBs downrange at a whopping 400 FPS muzzle velocity. It comes equipped with flip-up front/rear sights for accuracy, or mount your own with the built-in tactical railing. 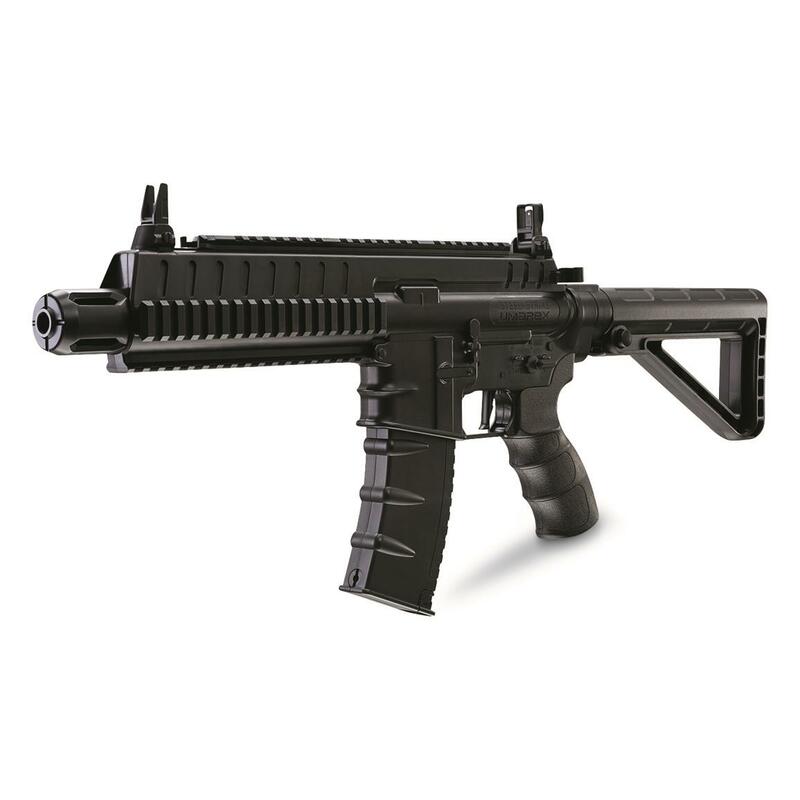 Collapsible synthetic stock is adjustable from 25.5" - 27.75". 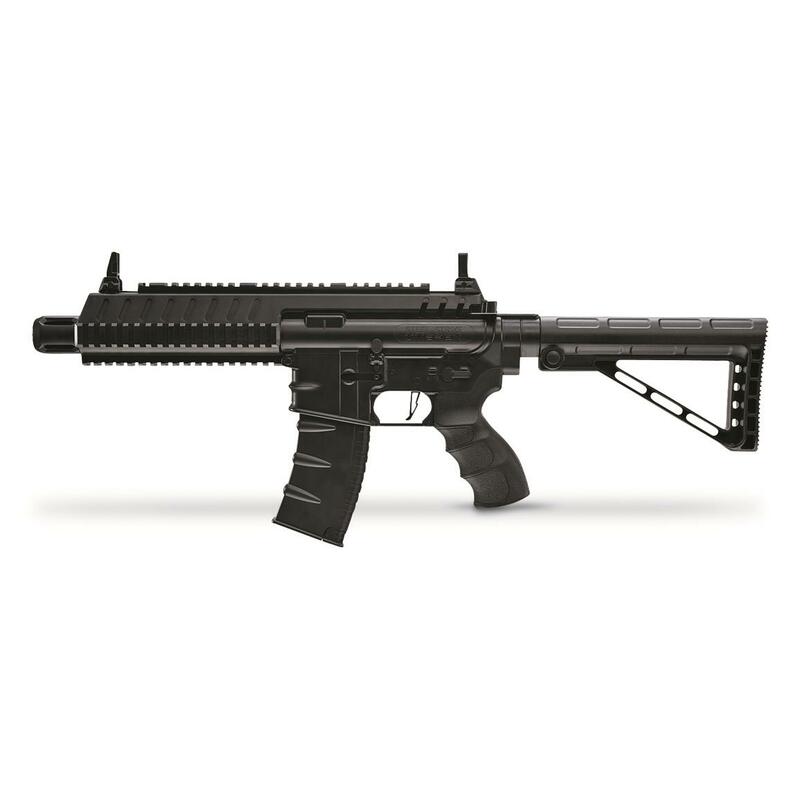 Overall length: 25.5" - 27.75"
Umarex Steel Strike CO2 Air Rifle, .177 Caliber is rated 5.0 out of 5 by 1. Rated 5 out of 5 by Glenn61 from There's some concerns. This Umarex STEEL STRIKE: cool looking BB rifle, But is this STEEL STRIKE just a variation on the Steel Force with the same type of junk mechanism that has a lifespan of about a thousand rounds before it breaks and stops working ? Or is the STEEL STRIKE better quality, with a more reliable, Heavy Duty mechanism that can be accessed to apply oil to and will deliver a couple of years of shooting fun ? We gotta know before we buy it , because the Umarex Steel Force looks good but is an absolute piece of junk on the quality and mechanical side, and an insult to buyers that spent their money on it.